This year we consider both THC and CBD levels, as well as a regional breakdown of the charts, providing us with a more rounded view of potency given the variation in testing procedures from lab to lab. As usual, there are a few new surprises in the group—as well as some old favorites whose genetic lineage never quits. So roll one up, sit back and enjoy the read, because once you’re finished, you’re going to have a new shopping list to tackle. The God Father OG, an indica-dominant hybrid (Cherry Pie x Granddaddy Purps x OG Kush), broke the previous Cannabis Cup record of 32.13% THC held by Chem Dog from Next Harvest in Denver. Also note that the 34.04% is an activated THC value calculated using (THC-A x 0.877) + THC, meaning this is a somewhat conservative number to some folks. Very fine work by the crew at California Herbal Remedies (CHR). This is the third straight year that Strawberry Banana has appeared on our “Strongest Strains on Earth” list. In 2014, the Banana OG x Bubblegum cross hit 22.51% THC. In 2015, she climbed to 28.4%. In 2016, we saw her hit 29.14% and 31.62% in SoCal alone … with more to come in 2017. Wedding Cake is a newcomer to “The List” this year, even though she first appeared in our Cup competitions back in 2014. Cultivated by the popular grow team know as the Jungleboyz, Wedding Cake is a cross between Girl Scout Cookies and Cherry Pie. The Super Glue, by Sun Grow, is a hybrid mix of Afghani Kush x Northern Lights #5. It was grown from clone hydroponically using Advanced Nutrients. 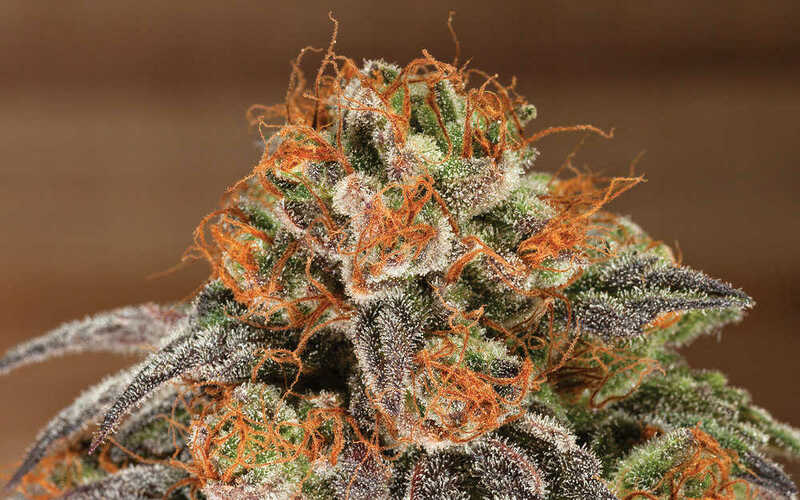 A-Dub, an epic triple cross of Chem’s Sister x Sour Dubb x Alien Dawg, is a well-balanced hybrid made special by the Sour Dubb, a hard-to-find clone-only strain also known as Sour Dubble (possibly a Sour Diesel x Sour Bubble cross). The A-Dub was grown with a 56-day flowering time by MMJ America and the Vault Genetics, who appear twice on The List (also with Gorilla Glue at #55). The Ghost Train Haze has been named the Strongest Strain on Earth (twice! ), first appearing in our inaugural “Strongest Strains” feature in 2012, and then popping up on our June 2015 cover—and reaching 27.46% THC in our Michigan Cannabis Cup the previous year. This Denver cut was grown by Green Man Cannabis, who also grew the Rosé, a clone-only OG phenotype. Motor Breath, the third entry on the 2016 list from Green Man Cannabis, is a heavy indica cross of Chem Dog x SFV OG. It was grown organically in soil with a flowering time of eight and a half weeks. Second only to the A-Dub in flavor, the G6 #3 did exceptionally well with judges in the taste category, not to mention hitting 26.72% THC. Cultivated by the well-known Medicine Man of Denver, she’s a hybrid of Aspen OG and High-Country Diesel. Grown in coco and hand-watered with a 67-day flowering time, the G6 #3 received a lot of love, and it showed. Grown by Trichome Charlie of Oasis Medical Seeds, T.C.’s Durban Cookies is a Durban Poison backcross [(Durban Poison x OGKB) x Durban Poison] as well as the first Durban hybrid to cross the 25% threshold in any Cannabis Cup. The OGKB is also known as OGKB GSC (Girl Scout Cookies). 2016 was a banner year for Herbal Solutions in Michigan: They took home four first-place Cups and had a total of seven top-three finishes across two Cup competitions (June and August). You may also have noticed that they appear on The List four times, more than any other company in the past year. Sunshine #4 is appearing on The List for the second consecutive year. This strain is a cross between Sunshine Daydreamer (Bubbashine x Appalachia) and Chem Dog #4. Bred by Bodhi Seeds and grown by Midnight Roots, this is a strain on the rise. Bud White and Interlochen Alternative Health were first-time competitors in 2016—and became winners on their first go (second place, Best Indica Flowers). For those of you wondering, Wookie Cookie #2 goes like this: Wookie Cookie #1 Bx (backcrossed to itself) x Sensi Star, where Wookie Cookie #1 = Death Star x GSC. Got it? Yes, WiFi OG is the new name for White Fire OG (Fire OG x the White), which dates back at least half a decade. Its 27.68% THC is the highest level we’ve ever seen for the strain at a Cannabis Cup. Elmer’s Glue, from the fine people at CannaCruz Collective, is a brilliant cross of Gorilla Glue #4 (female) x the White (male). A clear trend seems to have emerged in 2016: The White alone = okay, but the White + something nice = fire! Amazingly, the great growers at C.R.A.F.T. had to “sneak” onto The List this year with their Sour Girl (Sour Diesel x GSC) at 23.2% THC—a clear indication that THC levels are skyrocketing. For reference, our first “Strongest Strains on Earth” feature from 2012 had OG Ghost Train Haze topping the charts at 25.49% THC. Apple Fritter received some of the highest scores from judges at the 2016 NorCal Cup in the categories of taste and aroma. A hybrid of Sour Apple (Sour Diesel x Cinderella 99) and Animal Cookies (GSC x Fire OG), she has the flavor to go with her 25.2% THC level. Compiled from all seven Cannabis Cups in 2016 and data provided by the labs listed above. For years now, there’s been a Cannatonic strain in Michigan that regularly tests between 18% and 22% CBD. It appears this cut has now made it to Cali. Perhaps the most interesting name of the lot, the Scandinavian Mooselodge is actually an unknown clone. Given the prominence and proliferation of the Cannatonic strain, it’s always a safe bet that this original keystone CBD variety is behind the unknown strain. 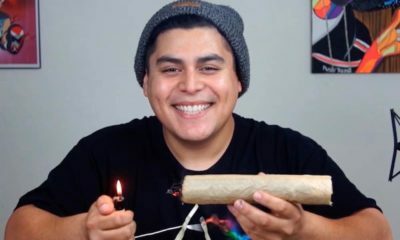 CBD OG? Yes, sir. If you haven’t seen them yet, check out the excellent work from the folks at Dinafem, who have managed to infuse many of our favorite strains with higher levels of CBD via smart breeding practices. In 2016, High Times introduced a new category to our scores: CBD-to-THC ratio. Of the above-listed high-CBD strains, the CBD OG came closest to a 1:1 ratio at 15.9% CBD and 7.58% CBD—a 2:1 ratio. 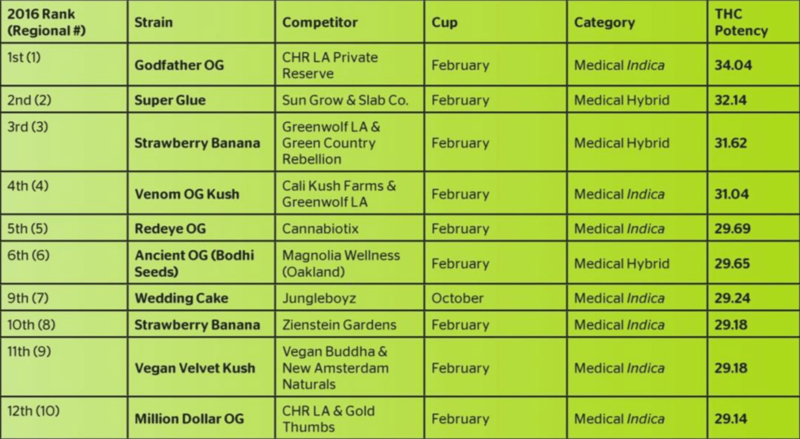 Radicle Genetics had an entry (not listed above) in the August Michigan Cup called Cellar CBD that had a 1:1 ratio at 7.65% CBD and 7.28% THC, as did 3rd Gen Family (in the April SoCal Cup, not listed above) named Nubia, which came in at 7.48% CBD and 7.95% THC. Additionally, people may wonder why some regions’ potency levels appear higher across the board than others. That’s a very fair question, and as we’ve discussed in years past, it all comes down to the individual labs and their testing protocols. Unfortunately for us—and for the industry as a whole—there is not yet a national association able to set consistent standards and practices for testing cannabis (and there likely won’t be such an agency until federal laws change). That said, we are meticulous in choosing our lab-testing partners for our various Cannabis Cup competitions, and we feel confident that our partner labs all adhere to the same basic set of guidelines when testing these flower entries. From a regional perspective, the basis for comparison is a level playing field, however; it’s in the national rankings that any disparities in testing protocols will be revealed. Hence we break down the rankings into regions, but we’re also now giving you the national rankings for a slightly different perspective, even if they’re to be taken a bit more lightly. As always, many thanks to Canna Safe Analytics in Murrieta, California; Agricor Laboratories in Denver; PSI Labs in Ann Arbor; and Steep Hill Labs in Berkeley for all their support and excellent work, and for the contributions they’ve made toward fair and accurate testing.